We are now open 6 days a week 12 -5 pm. We will be closed Mondays for the months of January and February. Starting in March we will be open 7 days a week 12-5pm or other times by chance. The studio was founded in 1995 by Andrew Kuntz, Glass faculty member at Sheridan College, and Carol Nesbitt, Camilla Willings, Michelle Miller, Megan Kenny and Jennifer Tarrant; graduates of the program. The studio continues to maintain strong ties to the college. 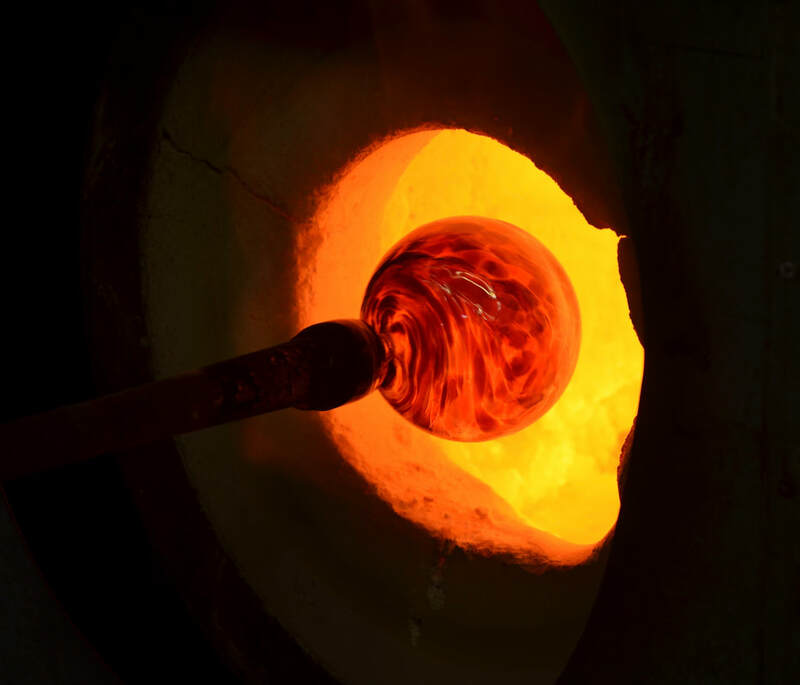 Many of the current members are graduates of Sheridan’s Craft and Design program, and have also sought additional education through courses and workshops at the Studio at Corning Museum of Glass, Pilchuck Glass School, and at Fleming College’s Haliburton School of the Arts. Works made by the artists are exhibited and collected both locally and internationally in public venues and private collections. The studio is open daily from 12:00-5:00 p.m. and by Chance or Appointment. We are closed Mondays for the months of January and February 2019. We are open 7 days a week from 11-5 for your Christmas Gift needs. Residencies may be available. Inquire for our current rates.This is a great opportunity for an emerging artist. Experience, own tools and supplies required. Please contact us for details.